Kick off your summer vacation and cool off on California’s Central Coast at the Ravine Water Park in the beautiful Paso Robles Wine Country. 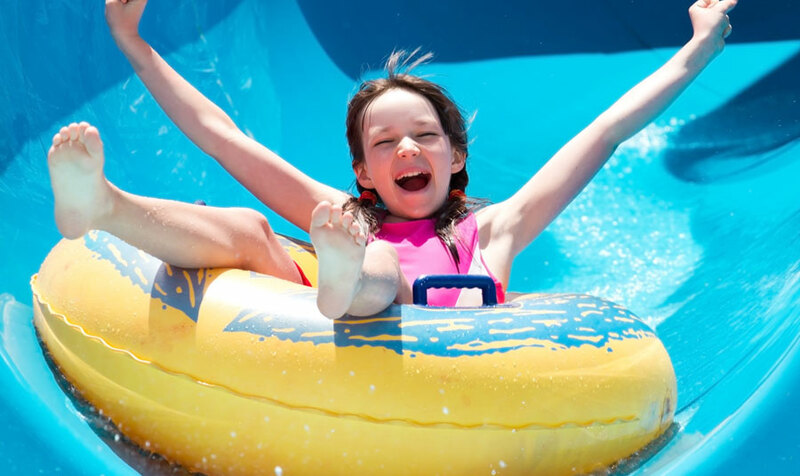 Opening for the season on June 1st, Ravine Water Park features exciting water rides, twisting slides, deep bowls, wavy pools, gentle rivers and beaches where families can splash, dive, and race into aquatic adventures. With summertime temperatures reaching 90 degrees, Ravine Water Park is the coolest place in town to get wet and wild. The Ravine Water Park features exhilarating water attractions and exciting body and tube slides, including Anaconda and Viper, with twists, turns and pulse-pounding speeds. Rocket down Kamakaze, an ultra-fast, drop slide that’s five stories tall. Feeling adventurous? Slide down the Vertigo, a 35-foot enclosed tube that shoots you into a huge bowl, spins you around and drops you into a deep, swirling pool. When it’s time to relax, enjoy a winding and relaxing journey through flowers and trees and under bridges on Kickback Creek. The kids love to splash and surf the waves in the Calypso Bay Wave Pool, while the moms and dads can lounge on the sandy beach, enjoy the shade of the palapas or catch some rays on the sun deck that surrounds the pool. The ultimate escape for families, picnics and birthday parties, Ravine Water Park also offers private cabanas overlooking Calypso Bay, Kiddie Pool, and on Palm Island. Get together with friends for a day of fun, sun and relaxation surrounded by a tropical landscape and the lazy river. And, for the really “big” kids, the park is just 10 minutes from the charming wineries of Paso Robles.